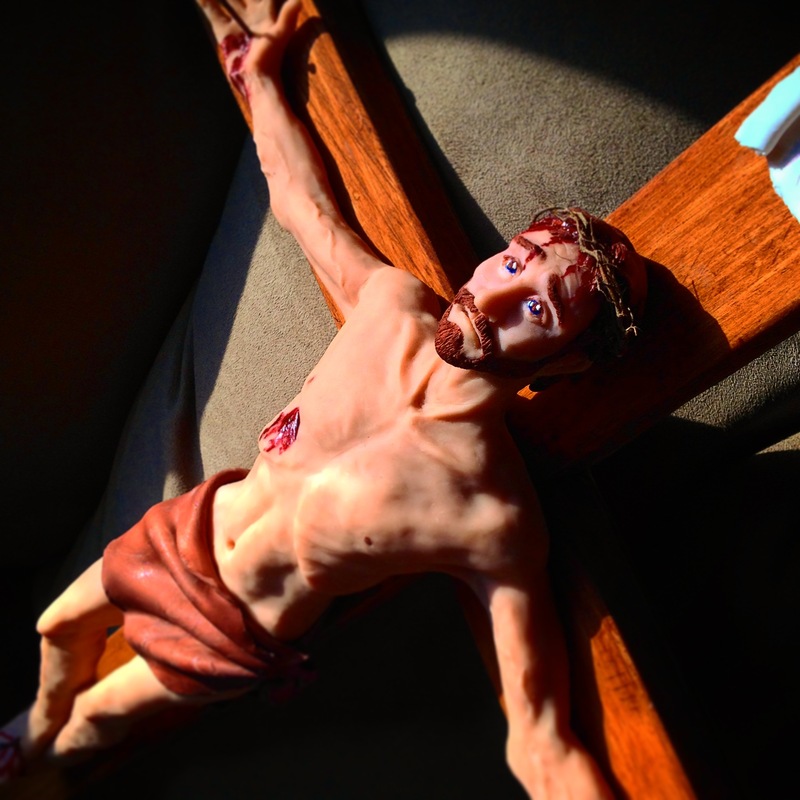 The extreme suffering of Christ is visible in His eyes and expression. 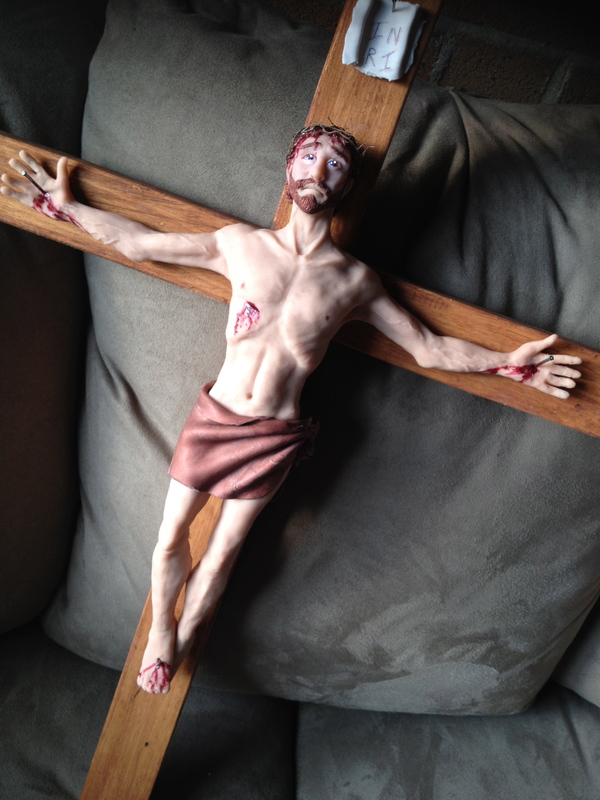 His over-exaggerated ribs and the pulsing veins in His arms tell of the toll that crucifixion is taking on His body. Simultaneously, His gaze is turned upward and His hands are spread wide in a gesture of complete surrender to the Father’s will. 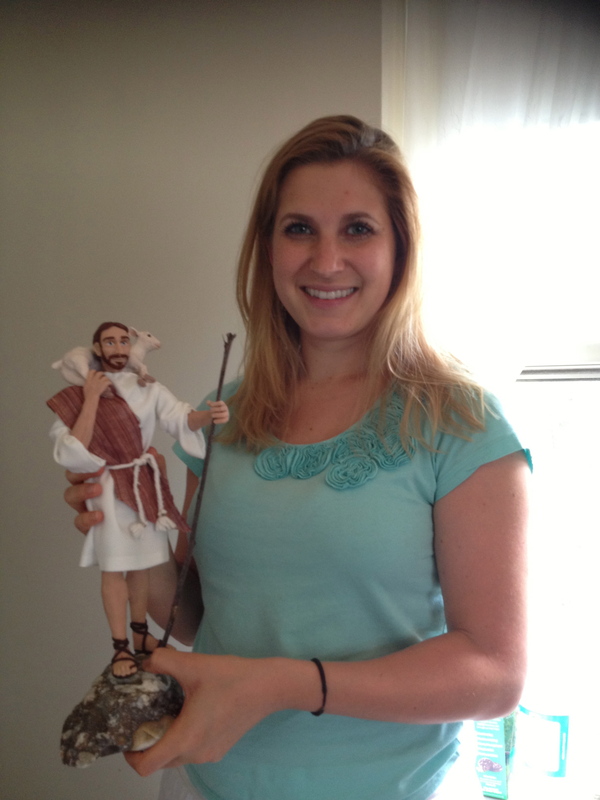 Mary sits on a stone that anchors the figurine. 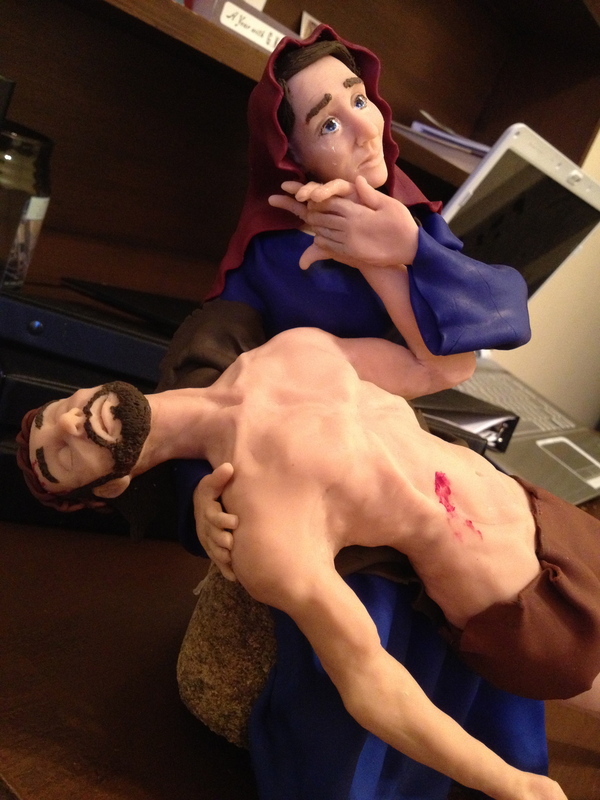 The power of Jesus’ body is emphasized by his dramatic pose in the relaxation of death. 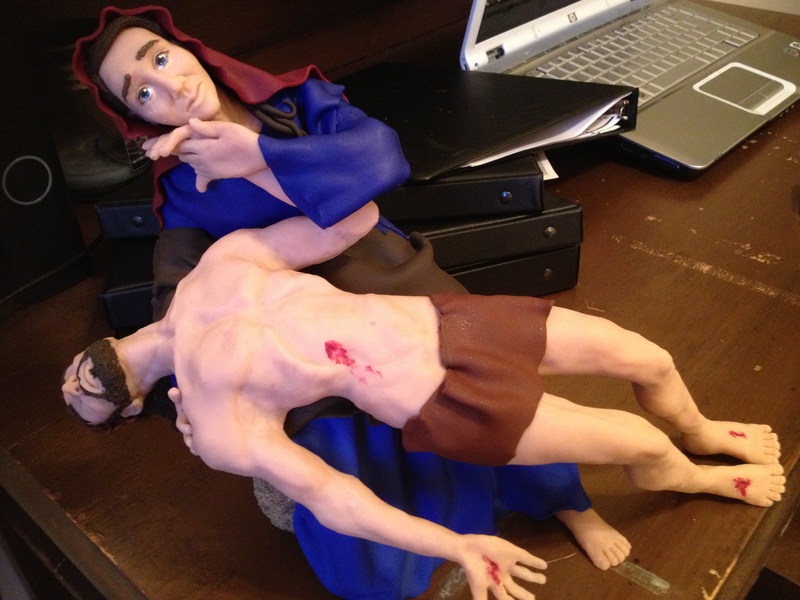 Stacey wanted to emphasize the sorrow of Mary in her pressing Jesus’ hand to her face, and in the tears streaming down her face. Her eyes look upward, accepting God’s will for her loss in the midst of her suffering. 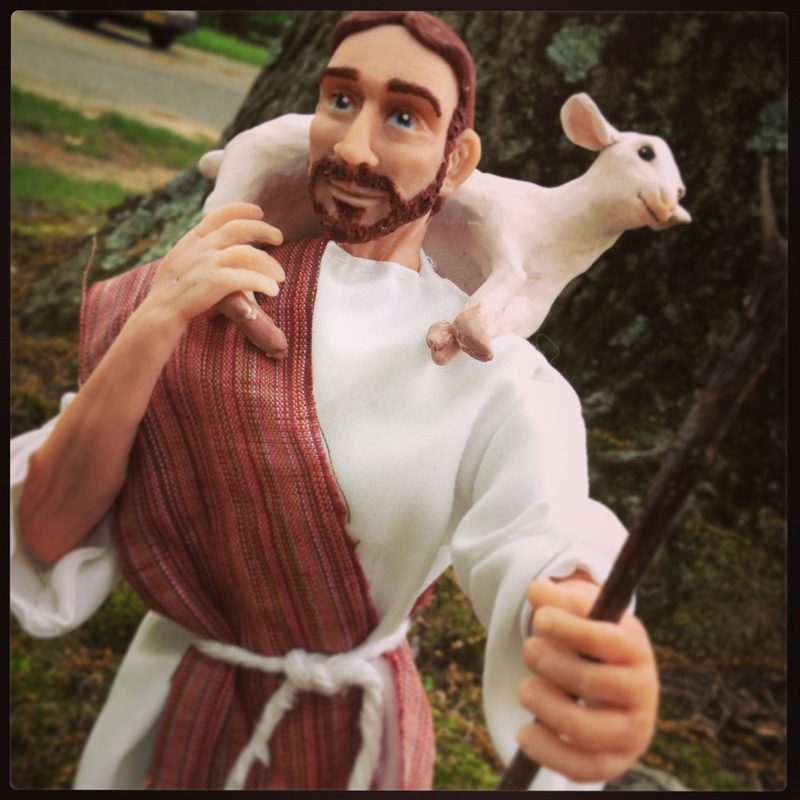 Jesus is shown here as peaceful, resurrected, carrying an innocent lamb who looks quite happy to be perched on its master’s shoulders. 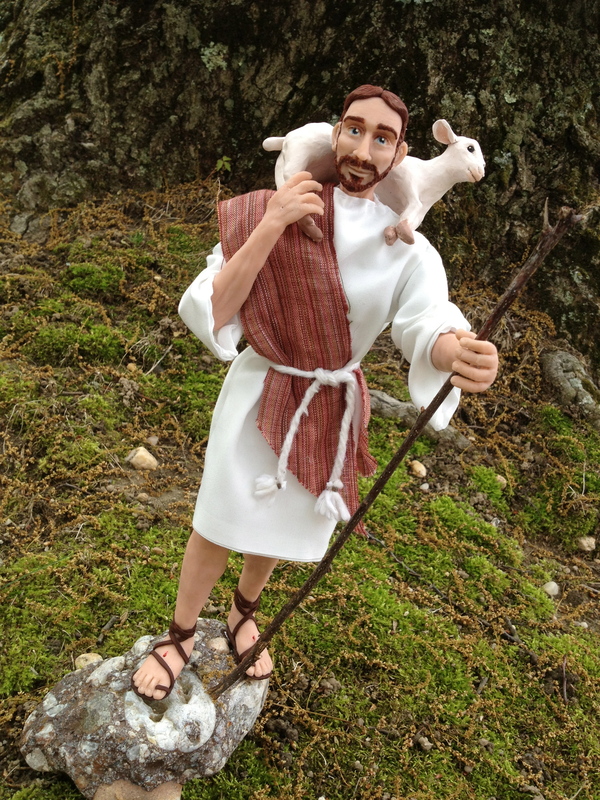 Jesus is striding forward and the glow in His eyes invites others to follow Him. Stacey, what a talented young woman you are! Wonderful work and so realistic. God Bless!